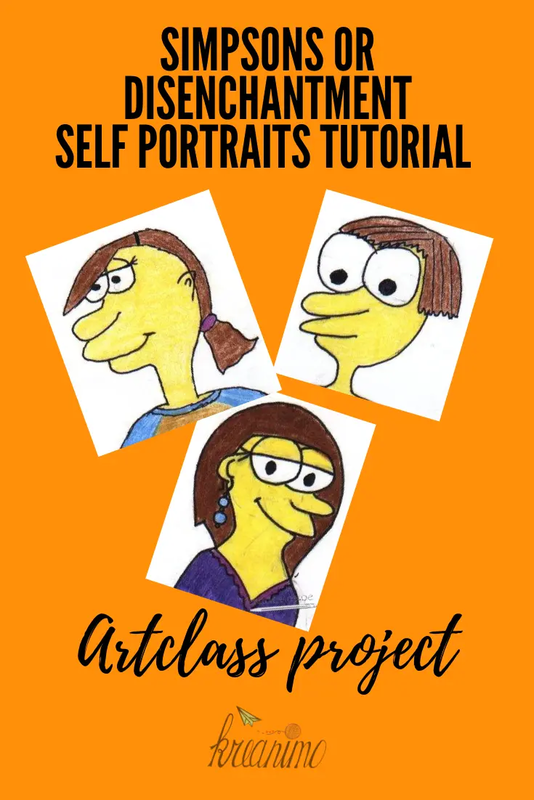 At the beginning of every new school year, we start with a self-portrait in art-class. 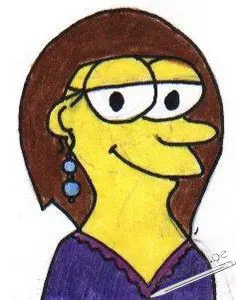 Many years ago, when I first started teaching, the Simpsons were hip and trendy. 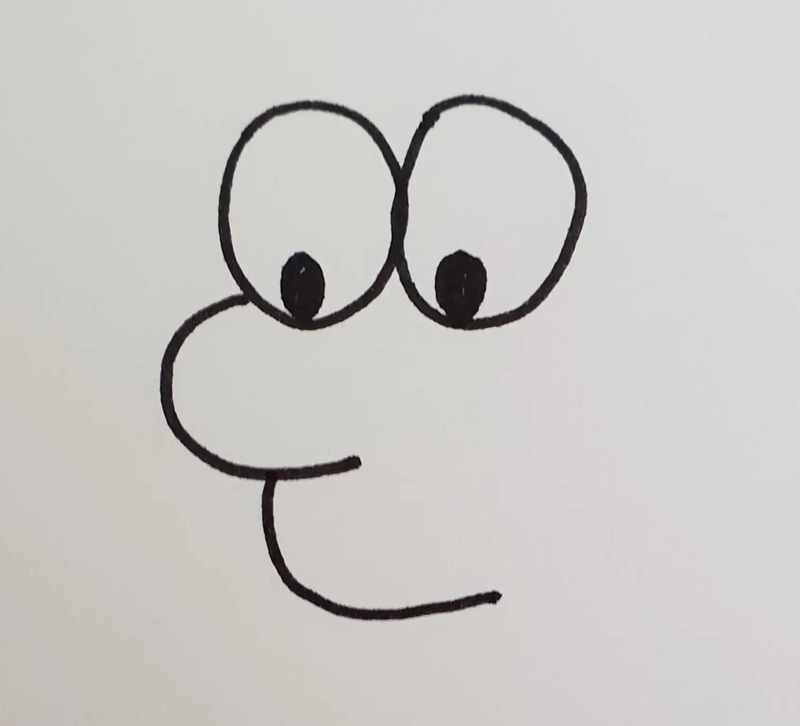 My collegue and I decided we wanted to let the kids draw their own Simpsons self-portrait. 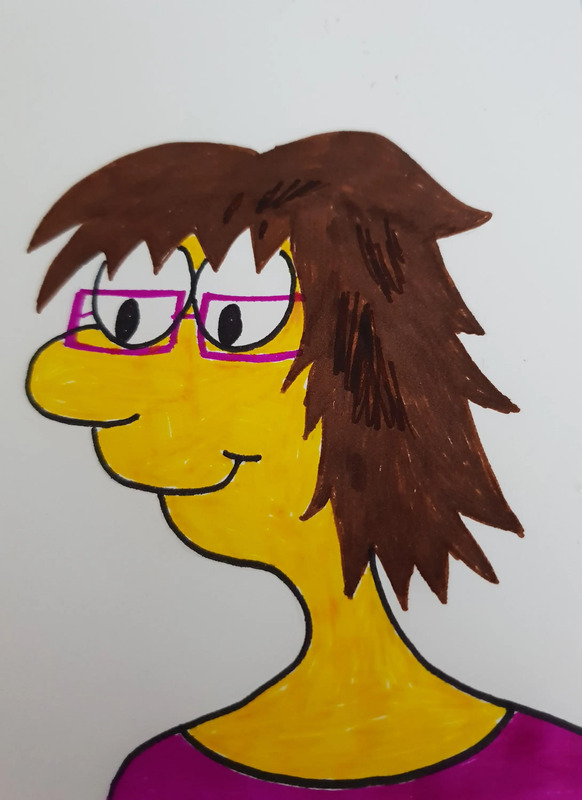 It’s actually quite simple to get a cartoon portrait to look Simpson style! Now with the new Netflix series ‘Disenchantement’ the old project can be dusted off and used again! As I said it is actually pretty simple. 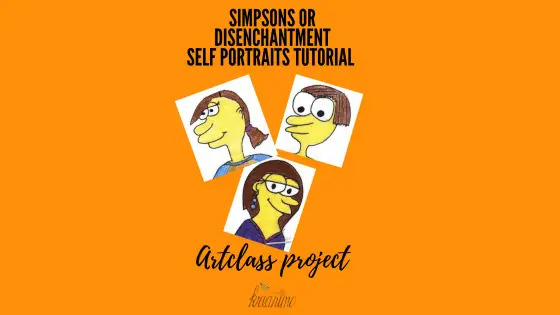 With a few easy steps you can change a cartoon drawing very easily to the Simpson stule. I put the steps here, so the kids can use them to make their self-portraits the same style! I let them draw in pencil and trace with permanent black fineliners. 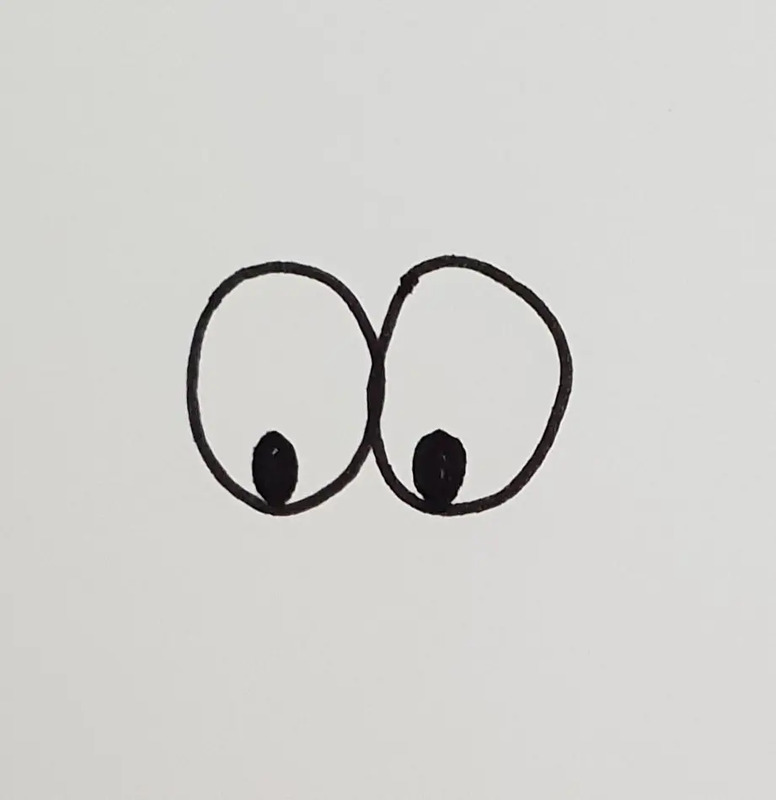 1) Draw 2 eyes against eachother. 2) Start the nose against the eyes. 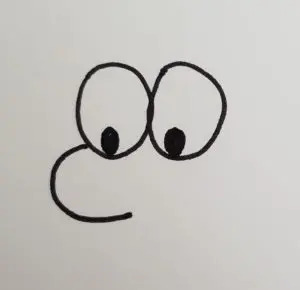 Think about your own nose when you draw. Do you have a large one or a smalle nose? 3) Draw the upper lip against the nose. 4) Draw the lower lip against the upper lig, but start more inwards. 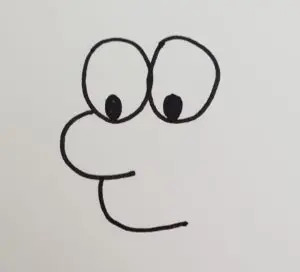 5) Draw your hair Simpson Style. (Try to make it just like your own hair! 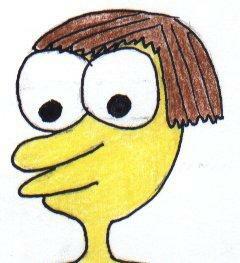 Hair is drawn cartoon style. 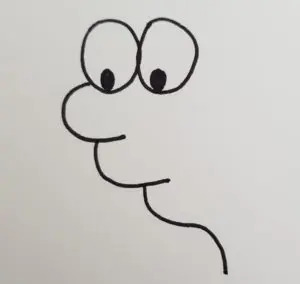 So don’t let them draw each hair, but shapes. 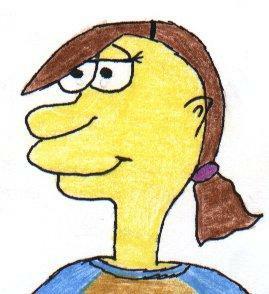 The drawings can be colored in colored pencil or markers. Sketching is always a good idea. I let them use the window to trace their sketches! 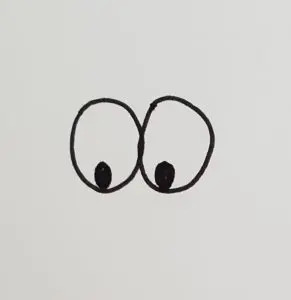 Hair is drawn in cartoon style. So not every hair is drawn seperately. The shape is much more important here! Pin Simpsons Self-portrait for later? Good luck! Let me know if it worked! On social media you can use #kreanitried, so I can come and check it out!